What would be considered a small lot in Brisbane, would be considered large by New York City standards. It also depends if you’re in a regional or a built up urban area, with different rules will applicable if you’re in Broom or Brisbane. In Brisbane there are two primary resources that apply to developments in this area. The first is the Queensland Development Code, the overarching code for the state and the second is the Brisbane City Plan. There may be a third document that takes precedence over the other two, and that would be a Plan of Development. A plan of development is a document registered with the local council for new land subdivisions and has the rules for development setout in the Design Guidelines. For ease, we’ll ignore plan of developments as they can vary greatly from sub-division to sub-division. 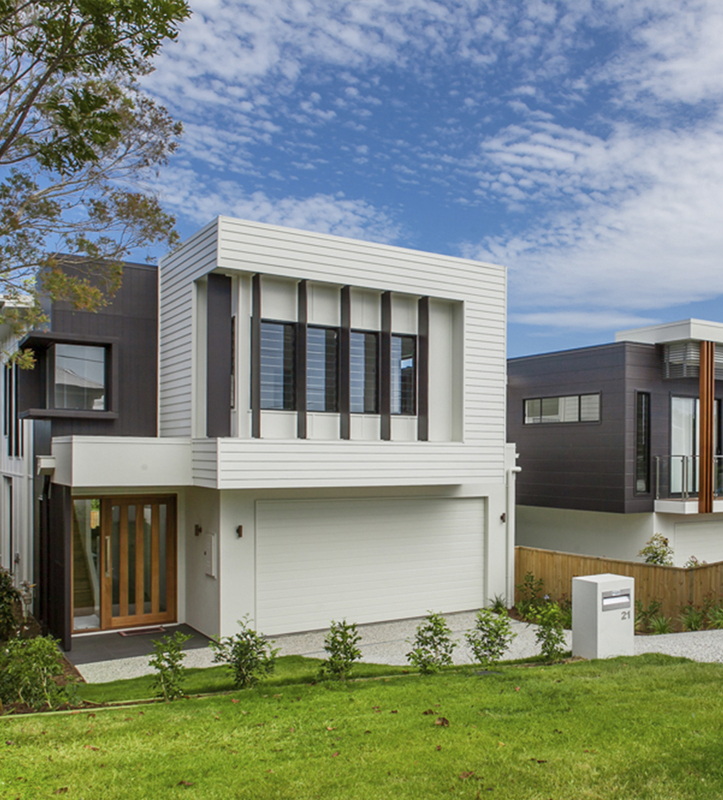 Within the Brisbane City Plan there is a section dedicated to development code and a subsection on Use Codes and within this section you’ll find two codes that relate to residential homes, Dwelling House Code & Dwelling House (Small Lot) Code. The Brisbane City Town Plan defines a “Small Lot” as a lot which is less than 450m2; or a rear lot of less than 600m2 excluding an access way. MP 1.1 Design and Siting standard for single detached housing – on Lots 450m2 and under. & MP 1.2 Design and Siting standard for single detached housing – on Lots 450m2 and over. Both codes use the same definition for a Narrow Lot. It can be found under the section on Building and Structures and relates to the side and rear boundary clearances. The width of the lot has an effect of the side and rear boundary clearances. For lots with a frontage of 15.0m or less (narrow lots) you need to refer to Table A2 in QDC MP 1.1 or MP 1.2 to figure out the appropriate boundary clearances for the home design, considering heights of walls. Wherever you are located it's important to consult your local town plan and work with your local council planning and development department, a private certifier or town planner to see how the local regulations will apply to your land.